The chairman of the Anglo-Omani Society discussed 'Oman in the years of the First World War' during a recent lecture at the society's Sackville Street headquarters in London. 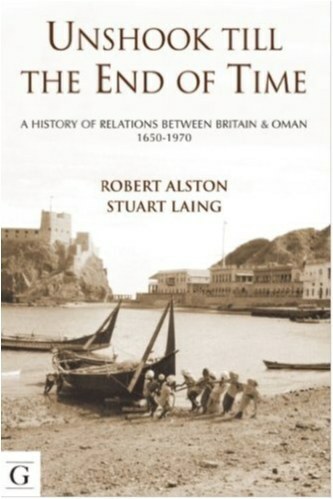 Robert Alston was the British Ambassador to Oman between 1986 and 1990 and is one of the world's foremost authorities on Anglo Omani relations. His published works include being co-author of 'Unshook till the End of Time', the definitive account of Anglo Omani relations between the mid 17th century and the end of the Dhofar Wars in 1975. Mr Alston explained in his lecture that, although conflict never came directly to Oman, the years 1913 to 1920 were seminal in the country’s 20th century history. The key fact in Omani politics in 1914 was the revival the previous year of the Imamate challenging the rule of the Sultan inMuscat. The Imam, a ruler chosen by a mix of tribal and religious peers, governs according to the religious principles of Ibadhi Islam. The other significant event in Oman in 1913 was the death of Sultan Faisal and the succession of Sultan Taimur. Faisal had occupied the throne in Muscat since 1888. It had been a tumultuous reign in which British Indian naval help had been deployed several times to assist Faisal in holding Muscat in the face of challenge from the interior. Sultan Taimur, who had as a young man showed sympathy with the religious revival which underpinned that of the Imamate, was rapidly reminded of this tutelage and his obligation to accept the same restraints as those imposed upon his father in return for the guarantee of support for his position inMuscat. By August 1914, in political terms, the two main forces in Omani politics were already in stalemate. In the autumn of 1913 Imamate forces had moved swiftly to seize control the Samail Gap from tribes loyal to the Sultan and thus command the route between the interior and the coast. From there they were poised to move to strike atMuscat. For the first time this produced a military as opposed to a naval reaction from India and in the autumn of 1913 a detachment of British Indian troops was for the first time deployed to Muscat. Their orders were exclusively defensive – to resist any attack on Muscat by Imamate forces. The immediate impact of the outset of war in Europe was minimal. Much more significant was the declaration of war by Britain and France against the Ottoman Empire, which was in alliance withGermany, in the autumn of 1914. The leaders of the Imamate reached two conclusions which proved to be disastrous. Knowing of the deployment to Mesopotomia and the strains this would put on both Indian Army manpower and on the limited resources of the British Indian navy, they judged that it was unlikely that the Indian government would react on any significant scale to a move onMuscat. Further they concluded, apparently on the basis of one incident in which soldiers from the Indian deployment in Beit al Falaj had deserted with their weapons, that morale there was low and that numerically superior Imamate forces would successfully overwhelm them. When the assault was launched the Imamate commanders also made the tactical mistake of concentrating their force at the centre opposite Beit al Falaj, which was in fact the strongest point in the defensive line. Little or no effort was made to turn the line at its weakened flanks. From the accounts of the Grenadiers the Imamate troops fought bravely and determinedly but casualties were very uneven. Imamate forces were estimated to have lost 186 dead, whereas Indian casualties were just 7 dead and 15 wounded - including one British officer. Taimur was subsequently forcefully encouraged to pursue a political accommodation with the Imam, and the services of the Political Agent were offered as a go-between between the two sides. The political track alone offered any chance of moving from stalemate to accommodation between Sultan and Imam. That process was to take five years, culminating in the Treaty or Agreement of Seeb in 1920. Before the First World War British Indian influence in Oman had been applied diplomatically at different levels, and with moderate military and naval support when required. But by 1918 much more direct British involvement was seriously on the agenda. Five years after Taimur’s accession the Political Agent Major Howarth concluded in 1917 that his Government was ‘so bad that to continue to support it in its existing condition is nothing short of immoral’. The continuing strategic interest of British India in the Gulf, heightened by the events of the war, meant that for the first time it was conceivable, as the only alternative to chaos (or further expansion of the Imamate) to envisage direct British involvement in Government in the shape of people, Government loans and the support of a permanent modern Omani military force which would allow the withdrawal of Indian troops. The situation which resulted in the 1920s has been described in various ways – informal empire, client state, or veiled protectorate. Comparisons have been made with the relations between Delhi and the Rulers of India’s Princely states. The 1920s were to prove the high water mark of direct British intervention in Omani affairs. The foundations for this were being laid in the last three years of the war. This was driven entirely by an assessment of Indian interests. In light of the deteriorating situation in 1917 Haworth proposed to India a package of reforms – a loan to get rid of Taimur’s debts to the Indian merchants, a force of 600-1000 men to enable the Sultan to take the military initiative in the interior, a programme of education, and the appointment of a British adviser and a European superintendent of customs. When War ended in November 1918 agreement in principle had been reached in Delhi that something must be done but Oman was still stuck in the downward spiral which had continued since the military impasse was reached in 1915. War, as such, had passed Oman by though its consequences had not. 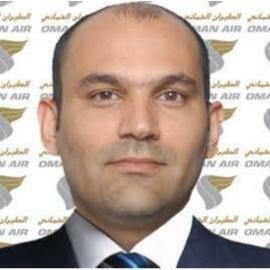 The 1920s were to be a decade in which British India became progressively more directly involved in Omani affairs at the same time as priorities began to change as air routes and oil interests, of as much or greater interest in London as Delhi, began to be factors in policy making towards Oman.